Once upon a time… No, we are not starting like that. Because this tale hasn’t ended yet! High heels have a very intense relationship with women and this style aspect can never become old. Every lady adores wearing high heels. Whether she has a height of 5’10” or she is just of 4’5”, she will always consider heels to boost her charm. Even there are high heels for girls and they love to showcase their looks. Now let’s get into the darker side. Are high heels really appropriate for the human body? 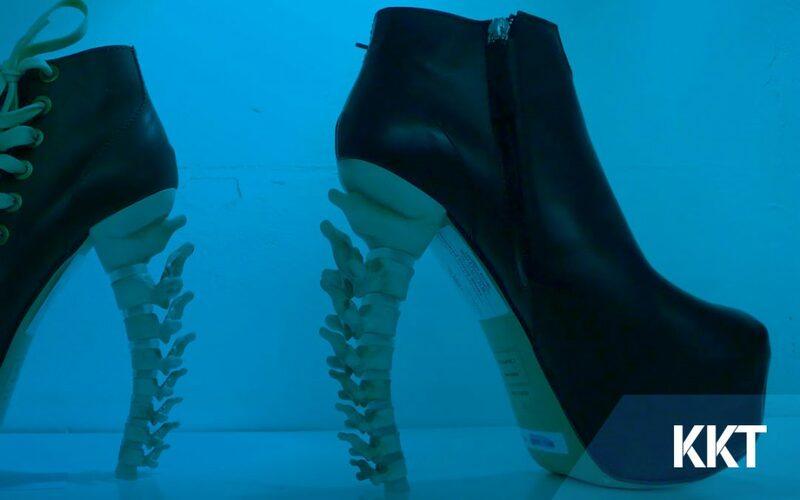 Had a lady ever considered that how these heels can affect her spine? We don’t think so. Therefore, keep reading! Are High Heels Harmful to Your Spine? To some extent, yes they are! Just focus on your body when you wear heels. You will see a visible change. Your chest will be pushed forward, your lower back will be pushed forward, your hips will become more prominent, there will be pressure on your knees and more significantly, the alignment of your spine will be altered. This is not so cool. You will never love the damaged posture of yours! You need to keep your spine healthy. So, wear your high heels smartly! But how?? Listen carefully! Do not wear high heels for longer period of time! Yes, we are right. You can wear heels whenever you want but you have to be really careful about the time period. Wear flat shoes for work. Flat pumps and sandals will suit you. Choose heels just for parties or celebrations. Muscle stretching is highly required. Do such exercises before and after wearing heels. 2 inches heel is enough for you. There is no need to go higher than this. Sometimes, when your spine condition goes from bad to worse, then these tips are not that helpful. You require something more valuable and serious. KKT Pakistan is your ultimate solution. When nothing else works, KKT exhibits its wonders! This Orthopedic Spine Center is located in various cities of Pakistan. You just need to give a call and visit the center that is near to your location! لیکن آئیے ہم ہیلس کے منفی اثرات پہ توجہ فرمائیں۔ کیا اونچی ہیلس انسانی جسم کے لیے مناسب ہیں۔ کیا خواتین نے کبھی سوچا ہے کہ ہیلس ان کی ریڑھ کی ہڈی کو نقصان پہنچا سکتی ہیں؟ لہذا آپ کہانی کو پڑھتے رہیے!